All About The Swag ! A visit to the amusement arcades has been a much-loved part of the Great British holiday for decades. Who can resist the pull of the retro coin pushers or the anticipation of the prize cranes? 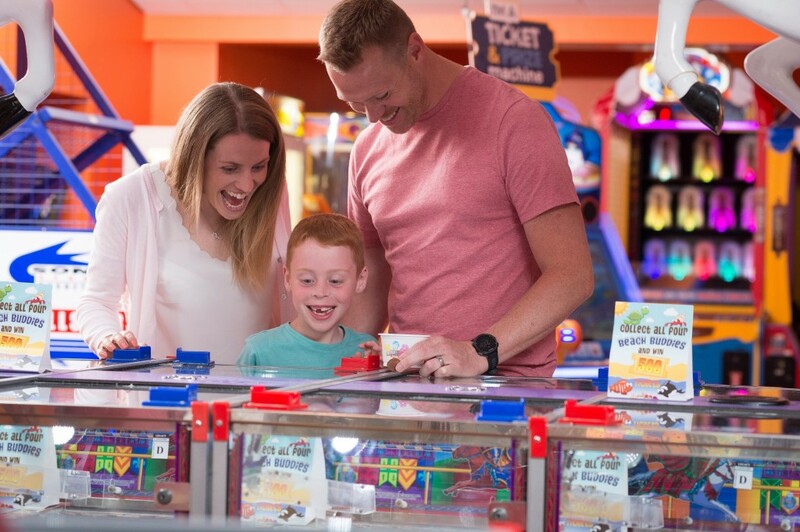 “Amusement machines add to the mix of attractions for customers at holiday parks,” says James Anderson, Sales and Commercial Director of BANDAI NAMCO Amusement Europe Ltd (BNAE). “There is a long history and heritage of coin-operated games at the coast and people playing them on holiday. “Parents are nostalgic about the fun they had as kids playing in arcades, whilst children love the chance to play the latest games and to win prizes on redemption machines,” he adds. “The amusement arcade at a holiday park is often one of the aspects most loved by children and it offers a chance for he whole family to play together.” According to Graham Bray, Marketing and Business Development Manager of Searles Leisure Group in Norfolk, the onsite arcade at Searles Leisure Resort in Hunstanton is perennially popular with guests, young and old. To Read More Click Here To Subscribe.